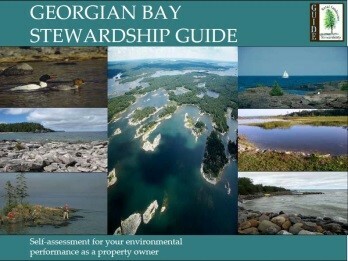 Your involvement, support and investment have encouraged active participation in the protection and restoration of the Lake Huron – Georgian Bay Watershed. We need to continue the collaboration and explore opportunities to enhance community awareness and engagement. Working at the grassroots level is key to addressing the environmental challenges and ensuring a healthy lake. Partnerships have been forged, networks are in place and communities are ready to do even more. As a resident of the Lake Huron watershed, you are part of a community that cares deeply about the health of the watershed and Lake Huron. You understand the inherent value of a healthy watershed, shoreline and lake system, and want to enjoy a healthy Lake Huron now and for future generations. Lake Huron protection begins with individual actions at home and on the farm. 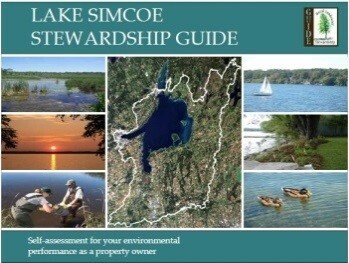 Learn how to identify opportunities to improve water quality and protect the natural environment on your property by accessing one of the Lake Huron stewardship guides or environmental farm plans. Let the Three Fundamentals of Watershed Living guide your property management. Live within the limits of the ecosystem. Discover your watershed and understand and respect the natural processes that maintain water quality and biodiversity. Any action on the land affects the water quality downstream. Realize that you are one of many. Water is a shared responsibility. You share the watershed and water with other people and innumerable plants, birds and animals that rely on the local habitat the same way you do. Remember that your actions may impact them just as much as your human neighbours. 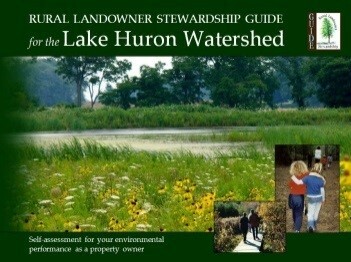 Get involved in local stewardship. Don’t give land-based pollution a chance to start its journey downstream. 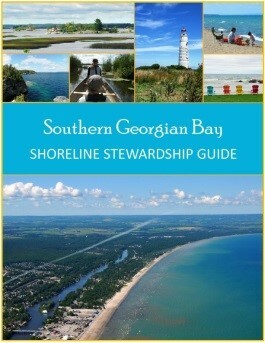 Rejuvenate and maintain our shorelines ad waterways and help raise awareness about our watershed and Lake Huron. 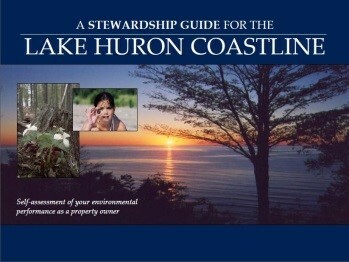 Any effort to protect Lake Huron water quality and ecosystem health from the five environmental threats is valuable. Take action with the following activities! Consider using natural pest-control methods – not toxic chemicals. Incorporate agricultural best management practices, such as grassed swales and buffer strips to control and reduce store stormwater runoff. 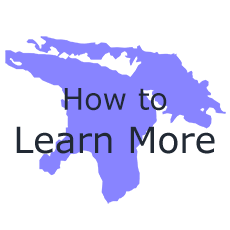 Share your knowledge with your friends, neighbours, cottage renters or even strangers, about the rarity and ecological importance of each of the special shoreline types. Share what you know about invasive species to help educate others about the threat. Be energy efficient by greening your home. Change your lightbulbs to LED bulbs; turn off the lights and unplug electronics and appliances when not in use; look for ENERGY STAR labels when buying new electronics or appliances; heat and cool smartly; and seal and insulate your home. You will also save money on your electricity bill! Choose green power. Switch your energy source to renewable energy such as wind or solar. Plant trees! Trees sequester carbon, helping to remove carbon dioxide and other greenhouse gases from the air. Choose sustainable transportation. Transportation produces about 14% of global greenhouse gas emissions (IPCC, 2014). Walk, cycle, carpool, or take public transit when you can. Purchase a smaller, fuel-efficient, low-greenhouse gas vehicle. Conserve water. Take shorter showers; install low-flow shower heads and toilets. Use the dishwasher and washing machine only when you have full loads. Wash clothes in cold water. Eat locally. Buy organic and locally grown food, as it does not have to travel as far. Avoid buying processed foods. Reduce your waste. Garbage buried in landfills produces methane, a potent greenhouse gas. Compost when you can. Recycle paper, plastic, metal, and glass. Buy products with minimal packaging. Buy LESS. Follow the 6 Rs of Sustainability: Rethink, refuse, reduce, reuse, repair, and recycle. Get involved and informed! Follow the latest news on climate change, voice your concerns, and spread the word to family and friends! Messages that effectively motivate landowners and the general public to take environmental action are important for successful conservation and protection initiatives. Most messages to encourage involvement and engagement of community members involve identifying environmental issue(s) with the help of local community groups and members and developing protection and stewardship plans to guide individual and community efforts. Interested groups or individuals are then moved to participate and monetary or technical assistance is secured. Learn the Nottawasaga Watershed Improvement Program’s Top 10 Tips for working with the local community. Understand the target audience’s motivations, priorities and potential barriers to taking action. Seek help from landowner champions to engage their peers. Combine recreational activities with conservation events. Ensure community members understand their involvement had an impact on the issue or project. The process of developing and maintaining positive, productive relationships with fellow community organizations starts with a network and leads to collaboration. Connections made between organizations allow critical sharing of resources and the development of ideas and approaches that ultimately advance the goals and objectives of both organizations. The following text offers a series of steps to consider when building a network of successful, productive relationships. Maintain frequent and transparent communications. See partnerships with multiple stakeholders. Establish clear roles and responsibilities among partners. Be open to new types of engagement. Undertake joint fundraising and outreach. In order to successfully communicate your message, reach the target audience and inspire environmental action, a strategic approach must be used to develop a compelling message that must be conveyed in a way that will resonate with that audience. The following section provides critical advice on how to develop and communicate the most effective and impactful message(s) to your audience. Weave marketing into every phase of the project. Develop a message that caters to the target audience’s values, needs and interests. Connect with shared values and stories rather than facts/data. Merge marketing with programming to integrate key messaging to project events. Be strategic. Target those who are undecided rather than those who already support the initiative. Measuring the success of an environmental conservation or protection effort begins with goal setting and the identification of indicators during the project development stage. Using indicators that suit the goals and timeframe of the initiative, it becomes possible to measure success over time and then use that knowledge to adapt future programs, policies and projects to maximize environmental benefits. Just as critical to measuring success is celebrating success. Recognizing individuals and organizations who contributed to conservation success re-energizes contributors and increases awareness of programs beyond those involved in the project. Define program goals so that success can be measured against the original objectives. Consider measuring success on an incremental basis as well as at the conclusion of the project. Involve the community in selecting indicators of success. Learn from other projects when determining how to measure success. 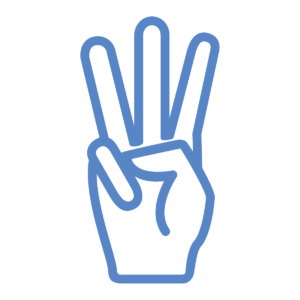 Celebrate success in order to re-engage contributors and increase awareness of programs. Fundraising is the backbone of most environmental conservation and protection efforts as it provides the majority of resources necessary to support project implementation. However, securing funding and cultivating donors takes time, effort and persistence. The following section guides readers through approaches to general fundraising, elements of a successful funding application, and perspectives on developing sustainable funding. Start small. Break your project into small pieces and grow your applications over time. Define project success and demonstrate how you’ll achieve it. Ask other organizations for help; better yet, partner with another organization. Make personal connections in all of your efforts. Funding for community projects and research initiatives are available through the following programs. Proposal submission deadlines are subject to change from one year to the next. Please access individual site links to confirm proposal deadlines. The Aboriginal Fund for Species at Risk (AFSAR) supports the development of Indigenous capacity to participate actively in the implementation of the Species at Risk Act (SARA). The protection of species at risk in Canada depends upon meaningful collaboration with Indigenous Peoples and organizations. Additionally, AFSAR supports projects that will proactively prevent species, other than species at risk, from becoming a conservation concern. The AFSAR program allocates approximately $3 million a year to projects on Indigenous lands and waters. The call for proposals takes place in the fall of each year. Please refer to the website for exact dates. The EcoAction Community Funding Program provides financial support to community groups across Canada for projects that have measurable, positive impacts on the environment. Funded projects promote the participation of local communities to address clean air, clean water, and climate change and nature issues, with the goal of building the capacity of communities to sustain conservation, rehabilitation and protection activities into the future. Following the “polluter pays principle,” the Environmental Damages Fund (EDF) helps ensure that those who cause damage to the environment take responsibility for their actions. The fund gives courts a way to ensure that money from fines and settlements is directly invested in the repair of harm caused to our environment and wildlife. The EDF program provides funding to organizations to undertake projects that will restore the environment in the areas where damage occurred. Additionally, the EDF supports research and development on environmental damage assessment and restoration, and funds education and awareness projects related to environmental restoration and compliance. The call for proposals will be take place later this spring. The goal of the Habitat Stewardship Program is to “contribute to the recovery of endangered, threatened and other species at risk, and to prevent new species from becoming a conservation concern”, by engaging Canadians in conservation actions to benefit wildlife. Funded projects focus on stewardship activities that support the recovery of species at risk, including the protection or conservation of important habitat, and the reduction or mitigation of threats that might cause other species to become a conservation concern. The call for proposals takes place in the fall of each year. The National Wetland Conservation Fund (NWCF) supports projects that: restore degraded or lost wetlands; enhance degraded wetlands; scientifically assess and monitor the health and functionality of wetlands and the species that use them; and encourage stewardship and wetland appreciation to build support for future wetland conservation and restoration activities. The call for proposals is expected to take place in the fall. The Ontario Community Environment Fund supports environmental improvement projects that restore areas in the watershed where a violation, such as an accidental spill, or environmental impact occurred. Through funds generated from the administration of environmental penalties, the fund supports projects that focus on: community-based environmental remediation; research, education and outreach related to spill prevention; and measures to build capacity to prevent or manage spills. The call for proposals will take place later this spring. In support of Ontario’s Great Lakes Strategy, the Great Lakes Guardian Community Fund aims to help local community members take action to protect and restore their corner of the Great Lakes, through support of at least one of the three goals: protecting water quality for human and ecological health; improving wetlands beaches and coastal areas; and protecting habitats and species. At its core, the RBC Blue Water Project seeks to protect the world’s freshwater resources through initiatives that support watershed protection and access to clean drinking water. The centerpiece of the Blue Water Project is a $50 million charitable commitment to award grants to organizations working to protect water in Canada’s growing towns and cities. Submission deadlines vary for each type of grant so visit the RBC Blue Water Project Guidelines page for exact dates. For 25 years, TD Friends of the Environment Foundation has supported projects to help protect the environment and green communities across Canada. 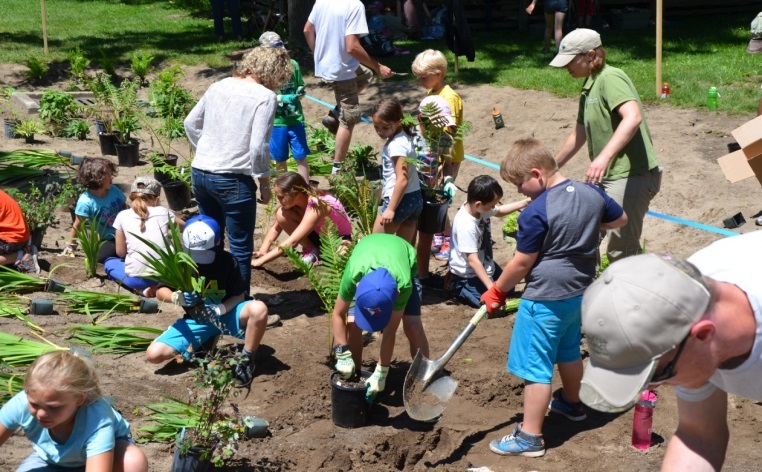 The Foundation supports a wide range of environmental initiatives, focusing primarily on environmental education and green space programs such as community garden programs, recycling/composting initiatives, and trail building and restoration projects. The call for proposals will take place early this summer. The Ontario Trillium Foundation awards grants to support community-based initiatives that support the enhancement of healthy and vibrant communities throughout the province of Ontario. As part of these efforts, OTF awards four types of grants which vary from early conceptual-stage projects requiring seed money, all the way to grants aimed at supporting collective strategy and transformative action to tackle complex community issues in pursuit of lasting changes in Ontario communities. Submission deadlines vary for each type of grant. Visit the OTF Registration Application Deadlines page for exact dates.